How to format Field CSS? I don't see this referenced in the very thick user guide, programmer guide, or ask innovator. 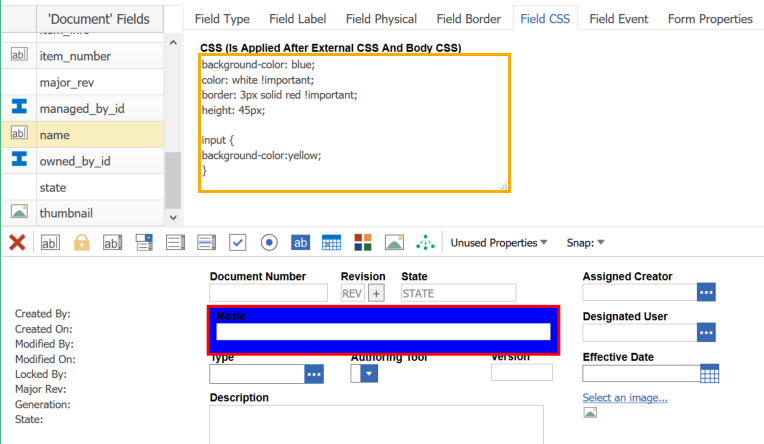 What is the format for simply adding CSS for a form field in the Field CSS tab?